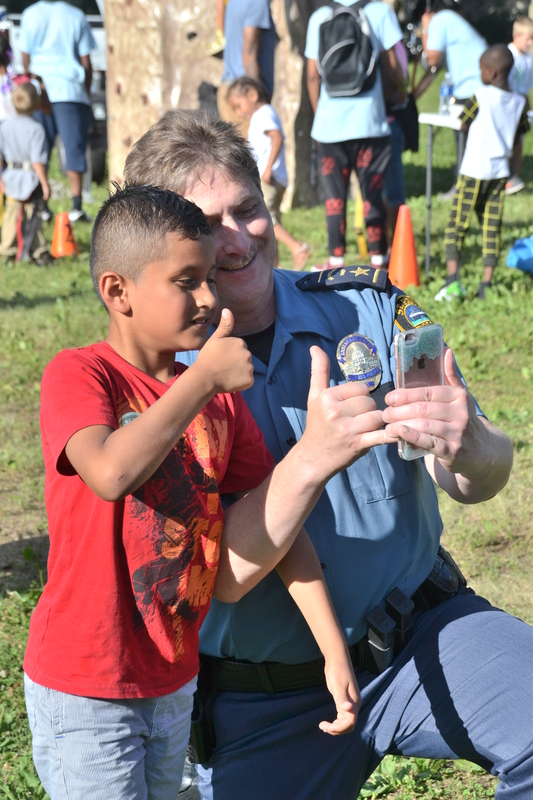 The St. Paul, MN Police Department launched an exciting new program to connect with the people in their community. The Safe Summer Nights program is designed to provide opportunities for police officers to become acquainted with residents of the neighborhoods they serve over a meal rather than during times of trouble. The program started in 2014 and is attended by approximately 500 people each time an event is held. There are activities at each event for kids to burn off some energy and St Paul police officers are on hand to answer any and all questions the kids may have. These questions often lead to real talk about what is affecting these families in the particular neighborhoods. The kids and parents love to see the police equipment up close and to talk with the officers about how and why it’s used. Hot dogs, hamburgers, chips and a drinks are served at each event. To date, the St. Paul Police Department has served over 50,000 of these meals at Safe Summer Nights events and would like to think they have made as many new friends. Learn more at the Safe Summer Nights website.